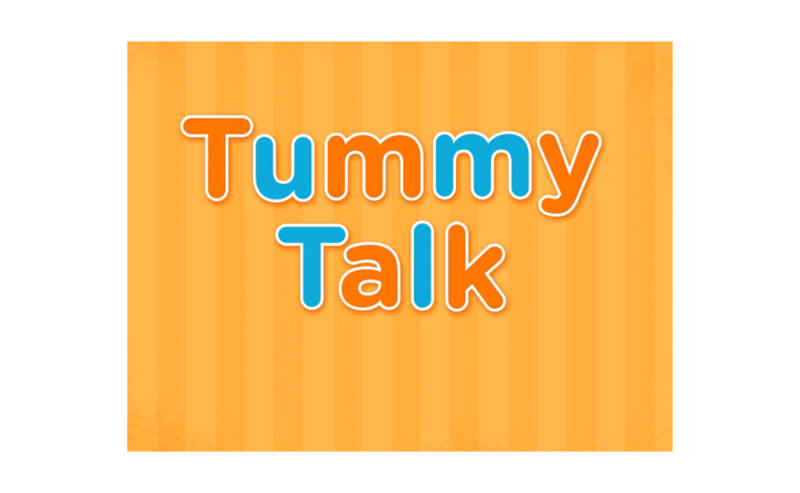 Tummy Talk is an interactive game that increases preschool aged children's awareness of their bodies' eating cues. 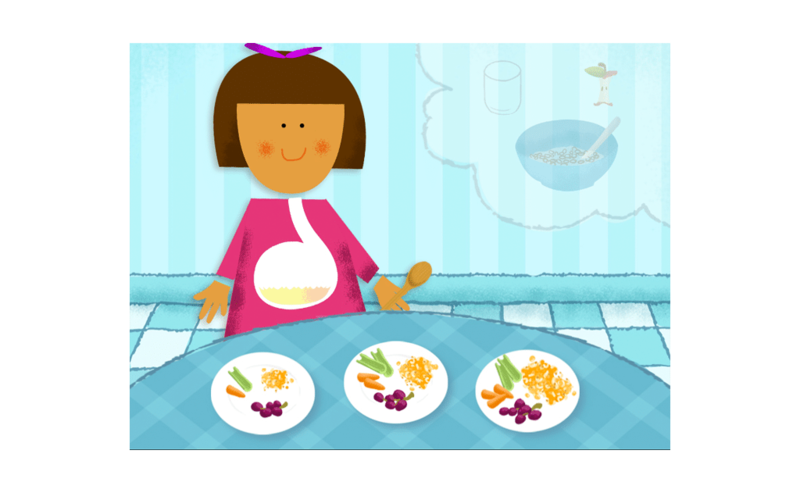 This game leads children through 3 levels where they think about how their tummy feels when they are eating. 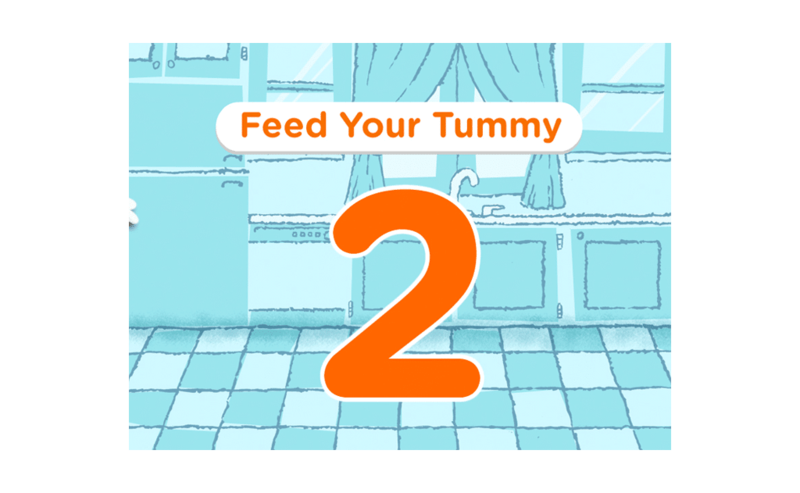 In the first level, children listen to descriptions of eating and match them to pictures that show hungry, just-right, and too full tummies. 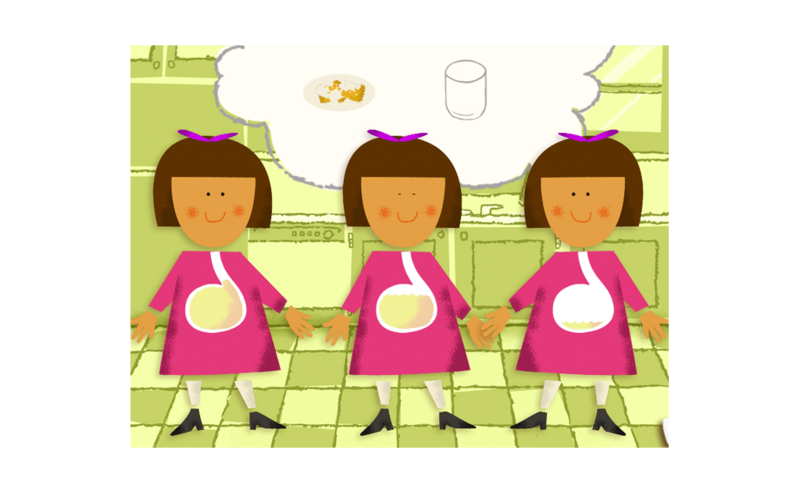 In the next level, children look inside their stomachs after breakfast and figure out how much to eat at lunch. 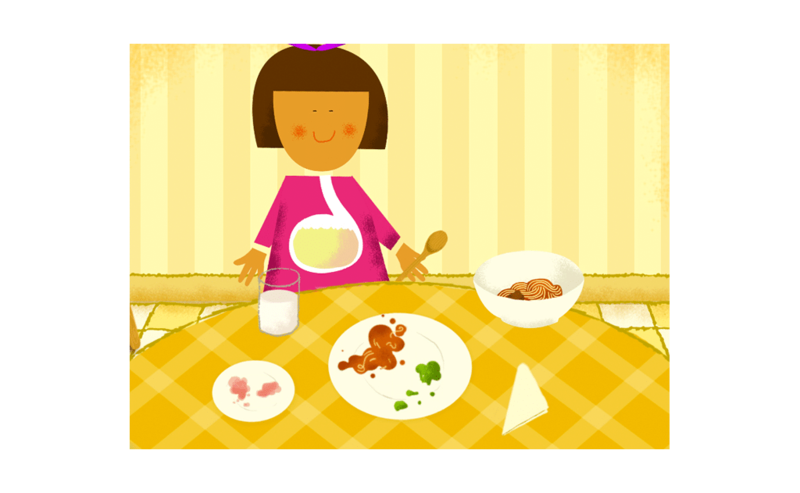 In the last level, children figure out how much to serve themselves at dinner by looking inside their stomachs to pick the amount that gives their stomach just enough but not too much food. 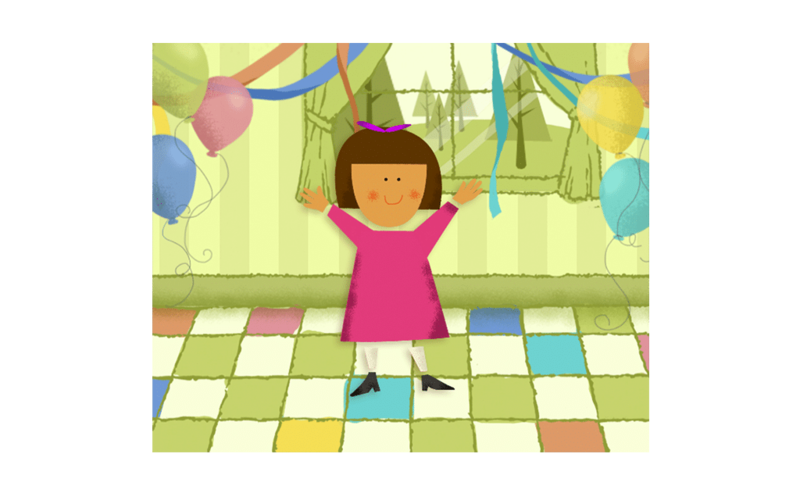 Our goal was to create this game in a simple, fun, and educational way. 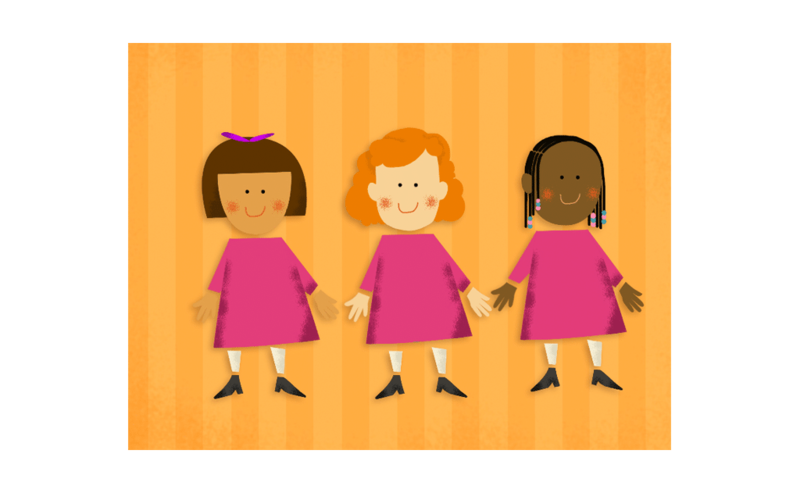 Kids feel a sense of control and achievement when playing the game because they are offered a choice of character, a choice of direction, and they celebrate their correct choices after each section. 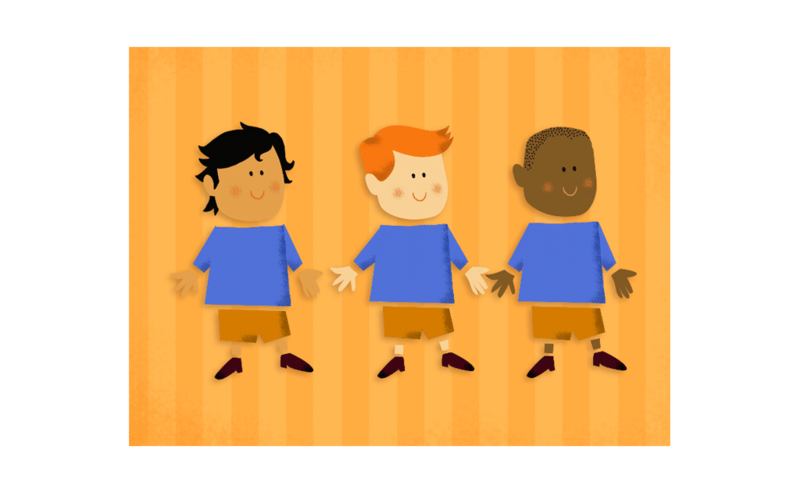 Tummy Talk is featured on PennState's website. 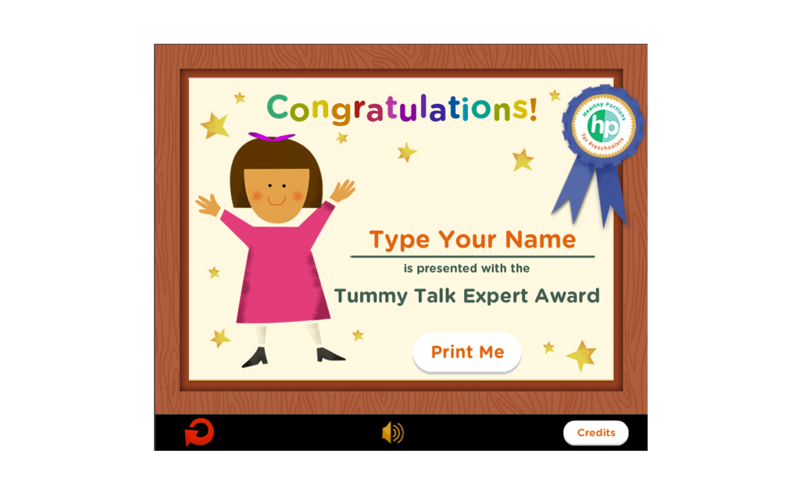 We are very pleased that Tummy Talk will be featured on letsmove.gov, the site developed by Michelle Obama to combat childhood obesity. 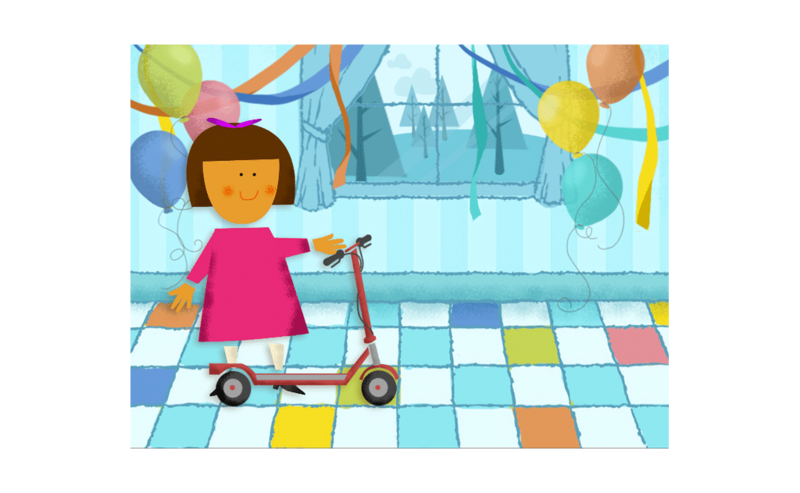 Recognition: Bronze award from The Horizon Interactive Awards, a prestigious international competition recognizing outstanding achievement among interactive media producers from all over the world.